As a network committed to working for justice grounded in the Gospel, we must be willing to share a message of human dignity and respect in the public sphere. 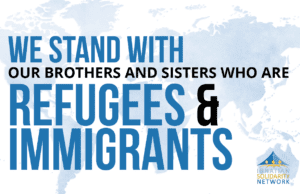 Below are materials that might help you or community to show a sign of solidarity. 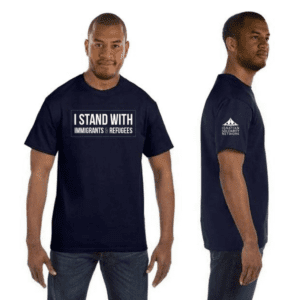 The Union-made t-shirts feature “I stand with immigrants and refugees” on the front and an ISN logo on the sleeve.